Charlotte Tankersley is a suicide attempt survivor and a survivor of suicide loss who now uses her lived experience to educate others on mental health, LGBTQIA rights and suicide awareness and prevention across the country. Charlotte has a B.A. in Psychology from Argosy University, is Mental Health First Aid, SafeTALK and ASIST certified and is also a Yellow Ribbon Suicide Prevention Program trainer, a Working Minds trainer and a certified QPR Instructor. 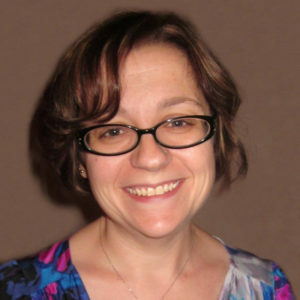 She is the founder and Program Manager of The Hope Group and Inner Light Consulting. Inner Light Consulting provides suicide awareness and prevention lectures and suicide gatekeeper training to individuals and organizations across the country. Charlotte has facilitated grief and loss support groups for over seven years, worked as a crisis counselor on The Blue Bench’s 24-hour sexual assault hotline and on the National Suicide Prevention Lifeline, and she was a victim advocate for both the Douglas County Sheriff’s Department and the Sheridan Police Department for several years. You can reach her via email at charlotte@theinnerlight.org or by phone at (720) 745-9252. Shirley Johnson has been a Registered Nurse for over 40 years and has worked in Cardiac Intensive Care for much of her career. Since 2009, Shirley has been the volunteer Parish Nurse here at Abiding Hope Church. 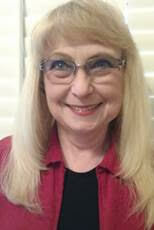 In April of 2010, she completed the course requirements for Faith Community Nurse Certification. With the intentional focus on spiritual care, the Parish Nurse promotes health as wholeness within the faith community. 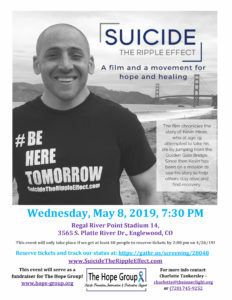 She is a suicide loss survivor and is one of the founding members and trained facilitators of the Southwest Metro Denver Survivors of Suicide bereavement support group. INFORMATION ABOUT TED AND JEANNINE COMING SOON!